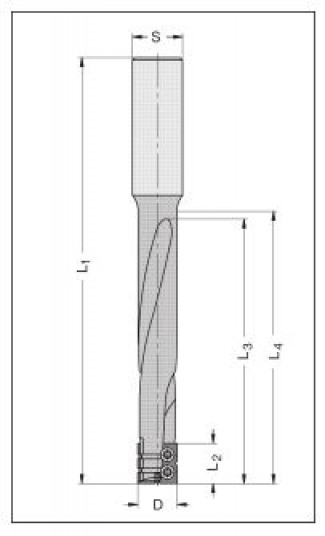 Insert tool for use with drilling/routing deep mortise pockets in composite and solid wood. This tool is primarily used for cutting lock pockets. Suitable for use on solid wood and composite material. Tool body is made of a special material that provides rigidity and allows no flexing during machining. Shank modifications for Weldon Shanks available.